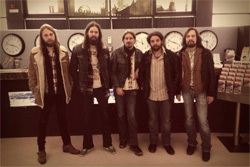 Sweden's Siena Root is warping back through their time tunnel to revisit and resurrect 70's classic rock. They've been doing this successfully across Scandinavia and Europe for better than 10 years with several albums and, of course, a few vinyl releases. They make their American debut with Pioneers on the Cleopatra Records label. Typical of that early classic era, Siena Root incorporates traditional, blues, and psychedelic rock into their music, and the wrap up in groove, swing, and that swirling whirl of the venerable organ, likely and hopefully a Hammond B3. That wonderful marvel of musical machinery that powered so many bands in the Seventies has a prominent part throughout this album. 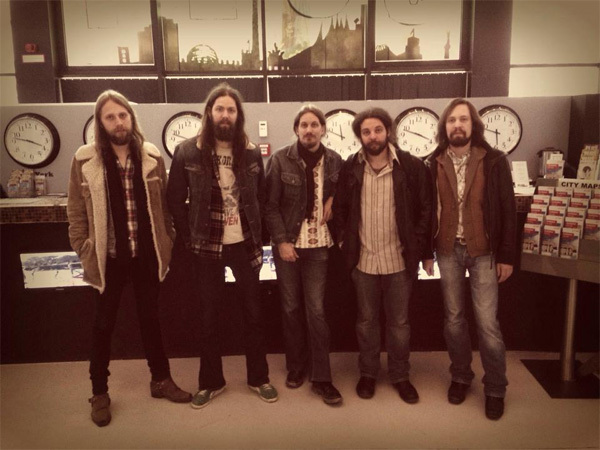 Within songs such as Root Rock Pioneers (also a good description of Siena Root's music) or The Way You Turn, it's presence is significant enough to be melodramatic. Mostly, the Hammond is churning underneath everything yet very close to the surface. Inside In My Kitchen, it nearly controls the song by it's subtlety. With the slight bass and guitar lines, the song takes on a spooky Doors-like feel akin to Riders on the Storm. After this, the major players are the heavy, often fuzzed out, riffs and the guitar solos that capture that trippy blend of blues and psychedelic rock. You'll catch this within many songs, but notable cuts include the conclusions of Spiral Trip, Between The Lines, and Keep On Climbing. Often, as with that latter song, the guitar leads work in tandem with the Hammond or Rhodes. It's all rather retro and roots, but because Siena Root understands the genre and plays it well, it sounds properly fresh. So find your bell-bottom pants, super wide belts, and funky shirt with the giant lapels, and groove out, dude. 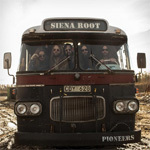 Pioneers is all rather retro and roots rock, but because Siena Root understands the genre and plays it well, it sounds properly fresh. So find your bell-bottom pants, super wide belts, and funky shirt with the giant lapels, and groove out, dude.